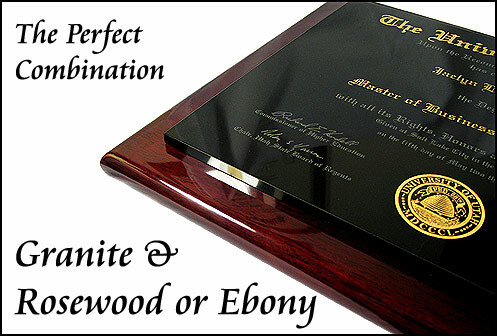 * Granite Diploma Plaque. 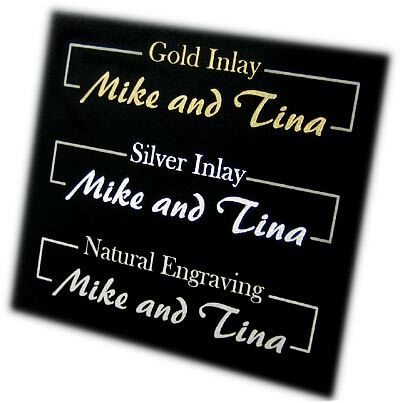 We've taken two of our best products and combined them, laser engraved highly polished Black Granite mounted to an elegant Rosewood or Ebony Piano Finish plaque. 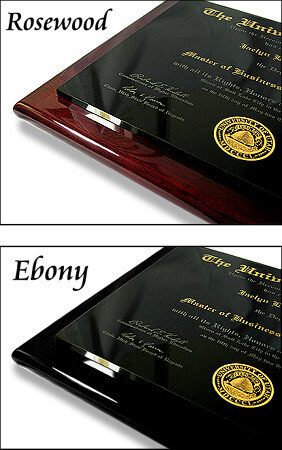 These are truly high quality, high end diploma plaques. We use only a premium Black Granite which has almost no grain resulting in highly detailed engraving. 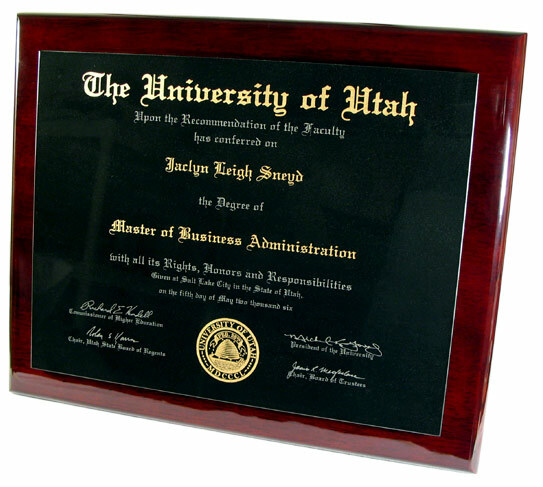 Store your original diploma and display a stunning copy. Each piece is permanently engraved with high durability. Our graphic artist spend the extra time to make sure your achievement is as sharpe and pristine as possible. * About the Materials used: 1/4 inch thick, premium, high gloss Black Granite is used for engraving which has a mirror finish. 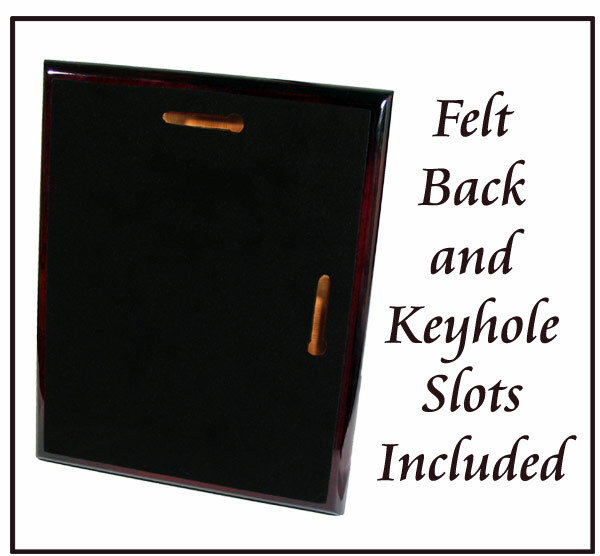 Attached Rosewood or Ebony piano finish plaques are high gloss and come with black felt and keyhole slots on the back for wall hanging. ( Click here for examples) "Please specify which areas are to be inlayed in the Special Instructions box below"
OPTION 3: Select If you are Mailing Your File. See "?" to the LEFT for mailing instructions.